in hopes that somehow they’d fit next to the spare. but not me—I sat there awake, my heart filled with dread. I thought about her birth, her life and her path. and her toddler years she was fast on her feet. she grew nearly a foot and brought me such joy. she touched little lives, one day at a time. to embark on a journey made me feel quite unsteady. so I took a big breath and said a prayer to the One. that my sweet baby girl must sail and be free. I loaded the car—every box—on my own. we started the day as a huge celebration. that was life-changing for everyone in their personal way. each one experiencing the mixed emotions of this mother. to make a warm home out of a room that was bare. I embraced my baby with a lump in my throat. telling her this was an opportunity for her not to miss. a sense of belonging and support from above. to find her own path as she heads out to sea. 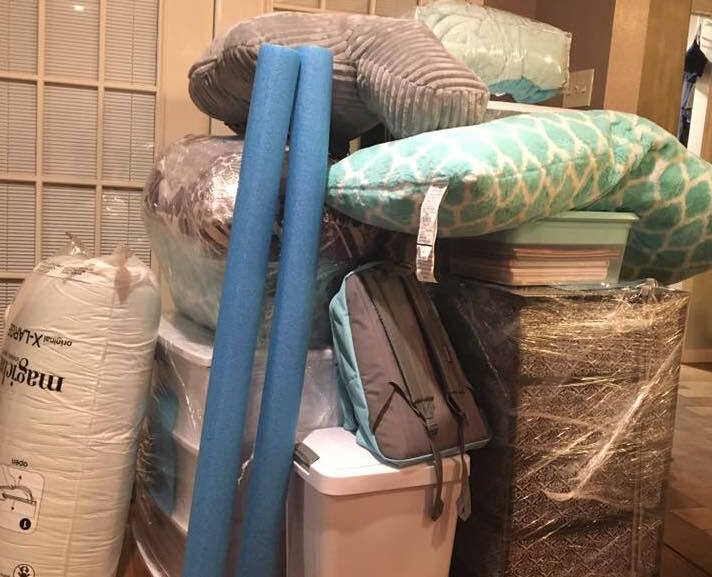 College Move In Day: 12 Things That Will Save Your Life! You can follow her on Twitter, Facebook, and read more of her parenting wisdom at outtoseaparentsguide.com. « Will What I Learned at Orientation Help Me with Drop-Off?